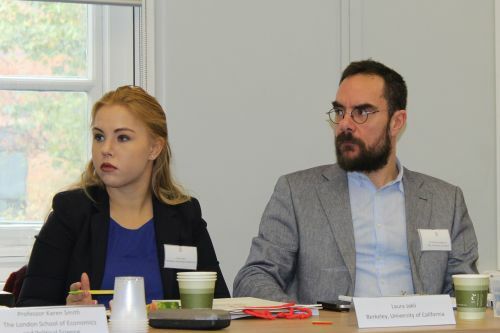 The City Law School's Institute for the Study of European Laws (ISEL) examined the promise and performance of the EU as an actor in the global legal order. With the assistance of the British Academy, the City Law School's Institute for the Study of European Laws held an interdisciplinary international workshop titled, ‘Modelling Convergence(s) and Divergence(s) of the European Union (EU) in the World’, on November 24th 2017. 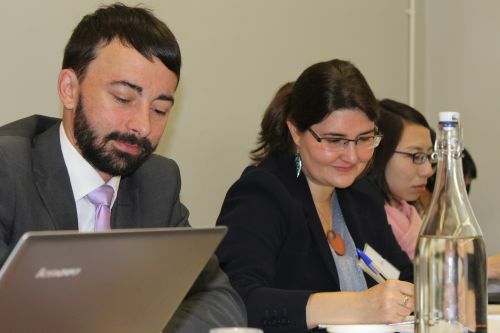 The workshop's participants included legal scholars from the fields of international and European law, political science, international relations, political economy and legal personnel from within international organisations. Over the course of the day, there was a lively discussion regarding relations between the European Union and the United Nations (UN) and the openness of the EU to public international law in human rights (and vice versa), followed by the norm promotion practices of the EU as a global and political trade actor. International migration, Brexit and a Multilateral Investment Court were among the major topics treated. The three main panels also reflected on the covert and overt normative agenda of convergence and divergence and the place of fact, data and empirics. The perception of the EU’s 'actorness' and perceptions of its transparency agenda were topics of reflection and discussion. It was a very stimulating workshop. Over the course of a day we addressed a broad variety of topics with regard to pressing issues facing the EU as a global actor. The divergence between approximately 79 multilateral treaties in force between the EU in contrast with 170 between the UK and the US; the quest for legal obligations residing in EU treaties to support multilateralism; and the differences between the EU and non-EU regimes with regard to human rights law, were examples of issues generating much discussion during the event.